MINNEAPOLIS — For decades in Minnesota, landfills for construction and demolition debris have not been required to use linings that stop toxic pollutants from seeping into groundwater. As the Minnesota Pollution Control Agency tells it, the waste wasn’t considered to be an environmental risk when the landfill rules were first implemented in 1988. “We really thought that untreated wood, that concrete, the gypsum in your drywall, was inert,” said Courtney Ahlers-Nelson, supervisor of the MPCA’s Land Permits Unit. That understanding has shifted, especially as construction materials have changed. And research now shows such unprotected landfills can contaminate groundwater, said Ahlers-Nelson. That information has prompted the agency to try and beef up its regulations — a possibility some county landfill operators have balked at — and also bolstered a Minneapolis nonprofit that is pushing for tough new rules in the Twin Cities to keep most construction demolition waste from ever reaching a dump. Ahlers-Nelson said the MPCA expects to release a comprehensive study this spring on the extent and severity of water problems caused by demolition landfills. But preliminary research from the agency shows why they’re concerned. An MPCA report from 2017 said Minnesota has 88 landfills without linings that accept construction and demolition waste. Most of those monitor their water for contamination and 63 percent of them found pollution that surpasses state and federal standards, the 2017 report said. Most of the affected landfills are located outside of the Twin Cities metro area. Just a few showed no contamination at all. Construction waste can pollute groundwater in two different ways. Rain and snow can leach contaminants from construction products like boron and vinyl chloride, which is in PVC material; Also, burying the debris can also dredge up naturally-occurring chemicals in the soil like arsenic and manganese that leach into groundwater after precipitation. The early MPCA data was part of an effort to persuade state lawmakers to allocate $2 million in the 2018-19 budget to address the problem. The request included measures to fund more research and reduce the effect of pollution on groundwater. Smith said the proposals weren’t passed, but the MPCA launched research on its own to explore rule changes. While the MPCA hasn’t unveiled a final proposal yet, Ahlers-Nelson said it’s likely to include some new requirements for construction landfills, including liners. Specific details — like the thickness of necessary liners and how quickly landfill operators have to comply with regulations — are still up for discussion, she said. New regulations for construction and demolition landfills are a cause of concern for at least some of those who run them. John Helmers, executive director of the Solid Waste Administrators Association, said for smaller demolition landfills, particularly in rural Minnesota, groundwater protection rules could bring a hefty price tag. If there are higher costs for those dropping off waste, illegal dumping in rural areas could rise, too, Helmers warned. Roger Schroeder, the environmental administrator for Lyon County in Southwestern Minnesota, said if his government is required to add linings to its demolition landfill, they would simply order all that debris to go to a traditional solid waste landfill in the county that already has a wastewater protection system. But Schroeder noted that option also comes with negatives: lumber and other construction debris is bulky and would fill up the solid waste landfill faster. Plus, fees are to use that landfill are higher, he said. “I think the downside to the general public is all of the sudden all of these home remodeling costs, the waste disposal costs basically doubles,” Schroeder said. While Helmers and Schroeder said they wanted to protect groundwater, they also called for an independent study of demolition landfills and pollution, citing concerns they had with some of the MPCA’s conclusions and study methodology. The debate over how to manage what goes into construction landfills has brought new attention to Better Futures Minnesota, a Minneapolis nonprofit working to keep waste from being thrown away in the first place. The company is working to forward legislation in Minneapolis, St. Paul and St. Louis Park that would fine people who don’t recycle and reuse most materials from certain demolished buildings. Better Futures employs and trains ex-felons for the job (and for their other business ventures like appliance recycling, custodial services and groundskeeping). 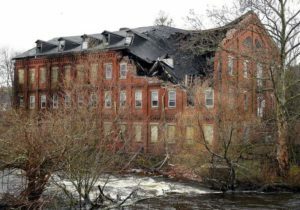 Deconstruction creates more jobs than traditional demolition and can spark other businesses that make use of the reused material, Adams said. Taken together, deconstruction creates “stacked benefits” by reducing carbon emissions that accelerate global warming, creating jobs and bringing people into the workforce who are usually tough to employ, Adams said. But while the practice brings real benefits, it also comes with real downsides. Traditional demolition can happen in a day or two, but deconstruction on a single-family house can take as much as 12 business days, Adams said. It also costs up to $30,000 for a 1,800 square foot home — about twice as much as standard demolition. Some of that cost can be reduced through tax breaks, but not on public projects. Adams said his deconstruction business has been reliant on a series of grants from the state’s Environment and Natural Resources Trust Fund and other money from city and county grants. 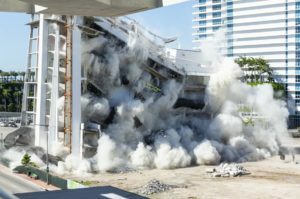 In order to catch up with demolition, Adams said he wants people who don’t deconstruct buildings to pay what he calls the “social costs” of carbon emissions to cities, which is the price of mitigating climate change. Reuse and recycle of construction waste cuts down on emissions in part because of the energy it takes to create new building materials. Adams pegged that carbon cost at roughly $9,000 for a typical house. He said cities should use that money to offer grants to homeowners who can’t pay for deconstruction on their own. The ambitious proposal has yet to gain much traction in the Twin Cities. But St. Paul Councilwoman Jane Prince has shown interest in the concept, her office said. Adams said Minneapolis Councilman Phillipe Cunningham has also supported the basic idea, although his office said talks over it are currently paused. There is some precedent for a deconstruction ordinance. It’s already being tried by several cities, including Portland, Milwaukee and Baltimore. In Portland, where a law was passed in 2016, houses built before 1917 must be deconstructed and salvaged. City officials estimate 2,500 tons of demolition waste was diverted from landfills in the program’s first year. Smith, the MPCA spokesman, said the agency has not been actively working to promote the legislation but supports the goal of more recycling and reuse in Minnesota. Better Futures held a long presentation at a November meeting hosted by the MPCA in West St. Paul aimed at finding ideas to reduce demolition waste. “I think in general it’s always cheaper to prevent pollution than to manage it or to clean it up so generally we’re supportive of those kinds of things,” Smith said. Correction: A previous headline on this story said that home remodeling costs may double as a result of this possible revamp. The costs of waste disposal involved in home remodeling may double as a result, not the costs of remodeling themselves.